Etsy's search algorithm is transitioning into a completely new animal. 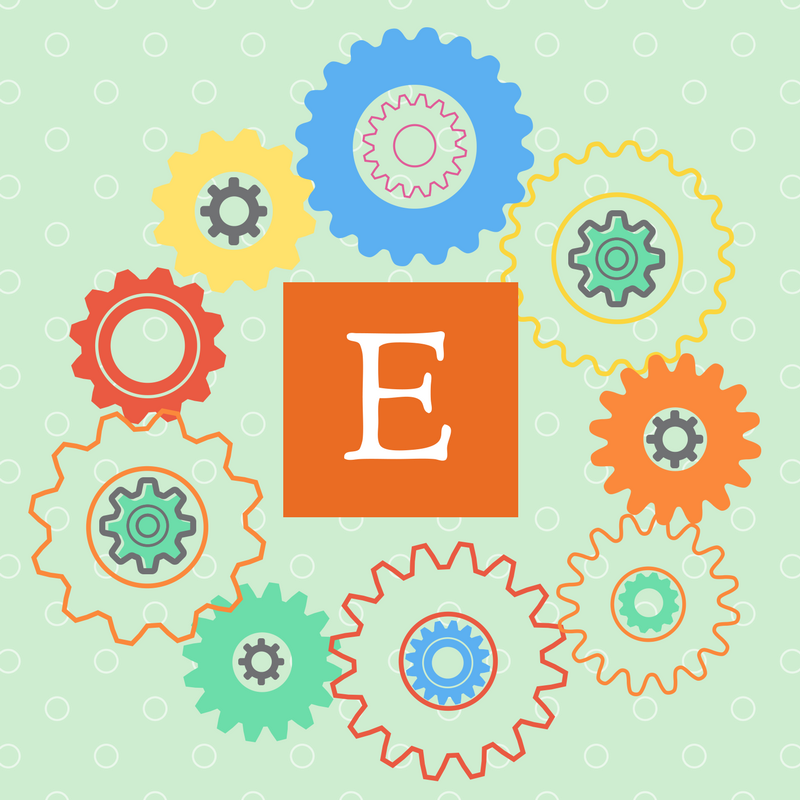 The days of meticulously matching up phrases in your tags and titles for guaranteed Etsy relevancy will soon be past. Etsy is in the process making search more human... The old way of search was not natural, the necessity to laboriously match titles and tags. "SEO stands for Search Engine Optimization. It does not mean “Match Words Up"
In a nutshell, Etsy has leveled the playing field for sellers. An algorithm does not "do" anything of its own initiative. It is only a middleman. Its job is to find common factors between a search query and the information on your listing page. It serves up results (called Search Engine Results Pages, or SERPs) based on common denominators... The more commonalities, the higher the item places. The algorithm does its job according to what its code tells it to do. No emotions are involved. The order of search results is what has changed. In fact, the order changes from search to search on Etsy now. How do I get better placement in search results? There is only one way for any product to place well in a search query. Create your listing so it has as many common factors with search queries as possible. In order to do it well, you must know your target market of customers. What search queries will they use to find your items? If you do not know who is searching the internet for products like you sell, how can you use the same words as they do? How do I even know where I place in search results? 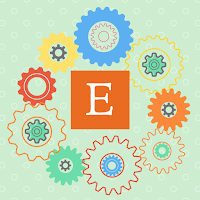 Etsy seller CindyLou says that it is now impossible to even do test searches because of contextualization and personalization: every searcher will see something different. You can ask someone else to search, but there is no guarantee that what they see is what someone else will see, either. Remember that in 2018, search is changing all the time, so search placement can vary by a lot even repeating the same search. The best way to "see" how you are doing is to use your shop stats. Where is Etsy's search heading? Google's driverless cars and Etsy's search have something in common. They are both being driven by machine learning, or so-called artificial intelligence. Both are going somewhere. But of course the technology is new. There are some unknowns, some unintended consequences. I believe that things will get better. But the process of machine learning will take time (some say as long as two years). In the mean time, mistakes may be made. Mistakes that could discourage sellers if they fail to see these changes in the long run, as "training" the new algorithm. Etsy sellers have been accustomed to doing a lot of tweaking. 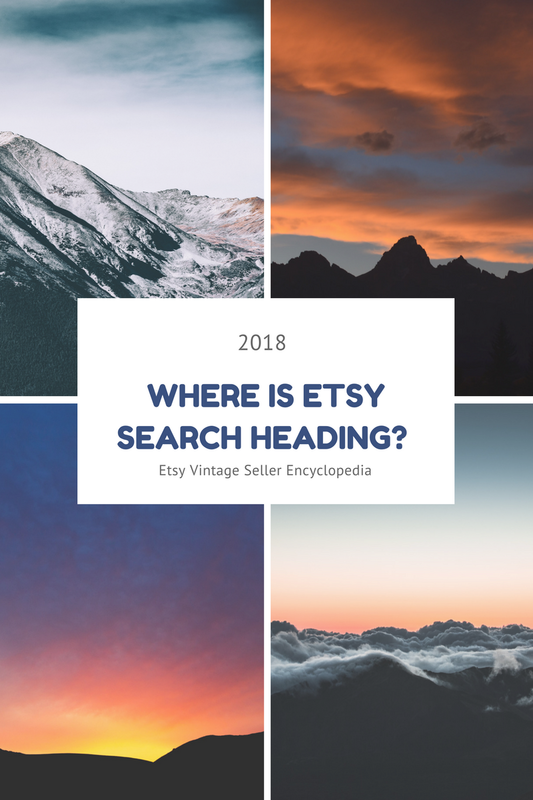 Sellers routinely made changes to listings to make sure of word-matching, which is how Etsy's search worked in the past. The goal of the new search algorithm is to show the best, most relevant listings to buyers. It is designed to do that without the need to constantly adjust listings. Won't that be a relief? As mentioned, the days of matchy-matchy titles and tags are fading. This is because the new algorithm is smarter than that. Or it will be, eventually. Following Etsy's "Best Practices" for listings remains important. Do you know what keyword-stuffing is? Have you un-stuffed your titles? Here is another discussion of title stuffing. Vintage sellers continue to complain about being the proverbial red-headed child. I try not to have any big expectations that things will change for vintage on Etsy. It is what it is and has been since the beginning... Vintage seems to be tolerated, but Etsy is primarily a handmade "creative" site. I can deal with that. If it is working, fine. If I am not selling, then I try to figure out why and deal with the issue. I make a number of observations here. If your shop is selling just fine, there is no need to change anything. Make any changes slowly. Check for effectiveness in your case. Etsy is in flux. Search is rife with change. 2018 may be the year to "wait and see." How do you feel? Is Etsy moving your shop to the next level?